It’s that time of year again when we celebrate Halloween and all things that go bump in the night. Halloween has always played a large role in my life from planning the perfect costume, playing a few pranks like a sock full of flour to a unsuspecting friend or family member and more. The candy was always the reward and spending hours sorting it on the floor with my siblings and making trades are memories that will stick with me forever. 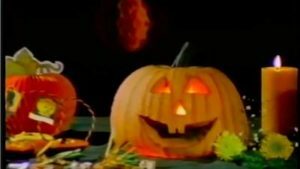 However another way we celebrated and love the season was by watching those classic Halloween Specials. 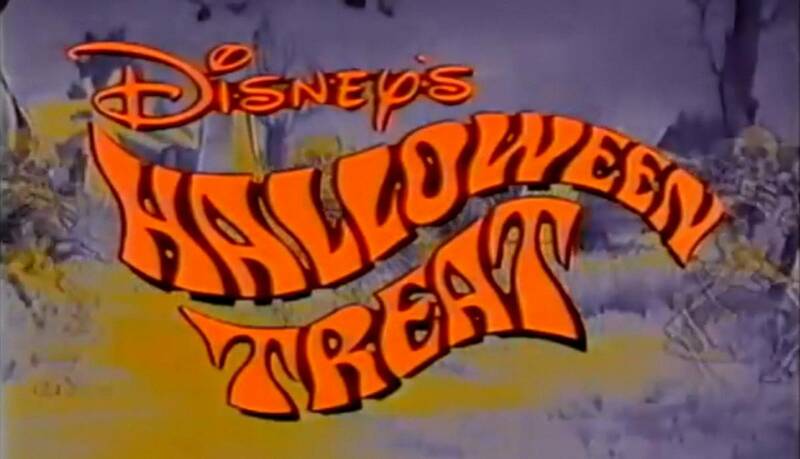 Garfield, The Pumpkin that Wouldn’t Smile, Halloween is Grinch Night, Ichabod and the Headless Horseman, The Great Pumpkin Charlie Brown and of course Disney’s Halloween Treat! 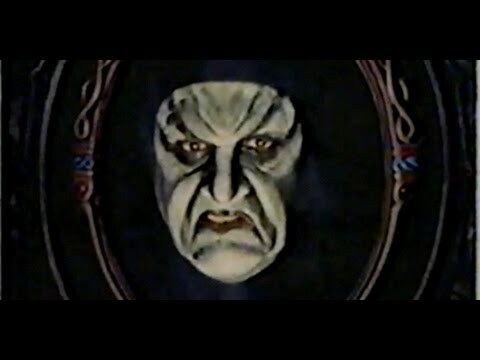 Now before I go to far, there were variations of this special that continued to air over the years which I will discuss so maybe the 1982 special wasn’t yours, but the ones coming after were. There is something special about dimming the lights, pumpkins lit and that catchy song opening the special. That song is what defines classic Disney. It served as the opening and closing credits song and to this day it can make you smile hearing it. The lyrics were written by Galen R. Brandt with music by John Debney so you can’t go wrong with that combo. After the opening sequence we are welcomed to the Halloween Special that defines the 80s by a narrating Jack-O-Lantern that was voiced by the iconic voice actor Hal Douglas and it features a series of classic Disney Cartoons that are spooky in theme to get your chills on. Some of those included are the 1929 classic Silly Symphony The Skeleton Dance, the 1949 animated short Pluto’s Sweater, the Wizard Battle found in the feature The Sword in the Stone, Donald Duck and the Gorilla from 1944 as well as clips from Peter Pan with Captain Hook, Pluto Shorts and the perennial classic The Legend of Sleepy Hollow. Everything seamlessly flows into the next and sets just the right tone of a Disney Halloween. I recall sitting there and just being memorized by the Disney animation, watching it in my costume that year, I was Chewbacca, and it was just something special when parents would sit down with their children and watch these gems on TV together as a family. Now over the years following the original airdate there were alternate versions that arose, all adding something different or special to the mix making it more grand each time but also confusing many as to which one was the original, or were they talking about the same special. For example for some versions we had our own version of Uncle Walt introduce it as the then CEO Michael Eisner introduced the special along with Mickey, Donald, Minnie, and Goofy. It was in this intro that Goofy mentions he has been working on his costume for a month. 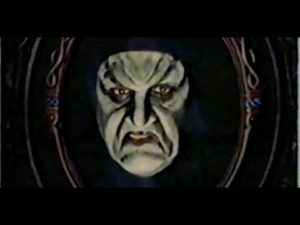 In other incarnations of the special the Magic Mirror from Snow White was added to the narration (this is probably the most remembered version of the special) and aired in 1983. 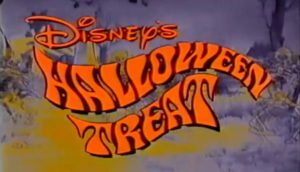 This version then added more animated cartoons to the mix as it kept the original narrator but the Magic Mirror introduced new segments from The Jungle Book, Sleeping Beauty, The Rescuers, Fun and Fancy Free and also one of our all time favorites, Donald and Witch Hazel in the 1952 classic Trick or Treat along with Mickey and the Lonesome Ghosts from 1937. This new version was simply Titled A Disney Halloween. 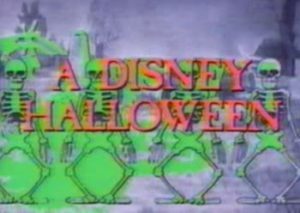 The thing that made this special was it took parts from the 1982 Special, and parts from the 1977 Disney’s Greatest Villains, adding in some new bits and created a nice long Halloween Special. To date, you cannot find these specials on DVD or Blu-Ray but at one time there were released on VHS. Maybe one day Disney will realize that there is a market for the TV Specials and once again release these for the world to have, preserve our childhood and pass them on to a new generation. Disney has played huge role in many of our lives and there is something to be said about the classic Specials on TV as a family, especially when it comes to the holiday specials. We will uncover more about the Disney Halloween fun as here at DizRadio we are currently celebrating our 7th Annual Not-So-Scary Month Long Halloween Celebration on the podcast. Do you remember this gem of a Disney Classic? 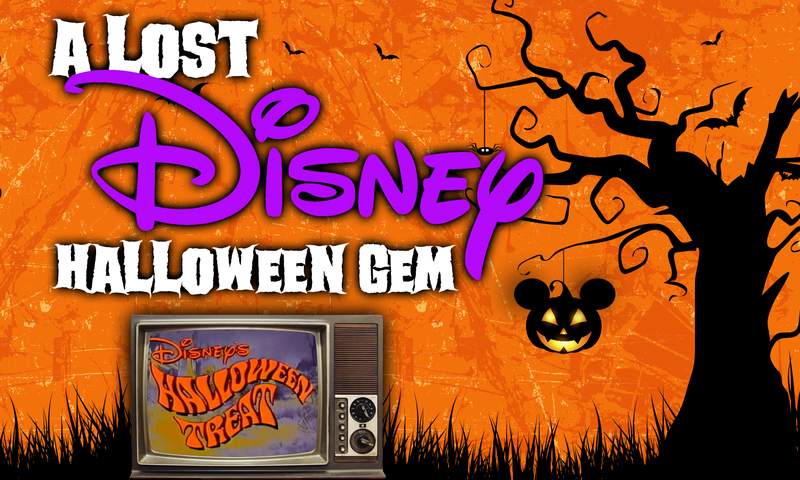 What are some of your fondest Disney Halloween Memories? A Disney Halloween is my favorite!!! A Disney Halloween Treat is good too, but i have searched everywhere for A Disney Halloween!! Please, if you know where to find it do share!